Born in Milan in 1962 he grew up in England where he attended primary and secondary school at St Wystan’s School in Repton. He graduated in Economics in Milan (Italy) at the Catholic University with a thesis on the evolution of the accounting principles in UK; immediately after he obtained his qualification as Certified Chartered Accountant becoming member of the National Institute of Chartered Accountants of Milan (reg. num. 2054) and also member of the Italian Register of Official Auditors (reg. num. 65450). His professional activity started in 1990 in a well-reputed Chartered Accounting Firm created in 1953; shortly after he became partner and the firm started to operate under the name of Studio Russo & Potenza. At present Vito Potenza is Founder and Senior Partner of the Associated Chartered Accounting Firm named Potenza & Partners, a professional organization with offices in the center of Milan and Monza. The professional career and the many personal interests have developed at national and international level on parallel channels, creating a virtuous circle of experiences and know-how that are reflected in the various positions he covers in the public, private and institutional sectors. Assignments by the Civil and Criminal Courts: Bankruptcy Trustee, Judicial Commissioner and Judicial Liquidator of several important procedures; technical consultant of the Judge, Expert, Auxiliary in investigation, interpreter, in criminal and civil field both for the investigating and for the judging body. President and Member of Statutory Auditors and Auditor of commercial and municipal companies. Member of Arbitration Boards. From 2005 to 2015 appointed by the Mayor, in technical role, Commissioner for Financial Planning (Budget) of an important city in the Brianza area. From 2013 to 2018 he was a consultant to the Chamber of Deputies in Rome for the office of the Senior Questor. Over the years Vito Potenza has also dedicated itself to teaching and publishing. Lecturer at the 1st level Business Administration Master’s Degree (MBA) in English at the University of Milan Bicocca (Module: Governance and Compliance). Vice president and member of the Academic Senate of an international HEI (High Education Institution). Contract professor (2012 – 2013) at the University of Milan Bicocca, Faculty of Economics, “Company Evaluation” course. 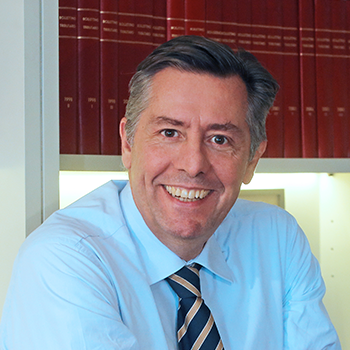 Since 2003, he has given technical lessons in several university courses (Company Governance – Bicocca University of Milan, Commercial Criminal Law – LIUCC of Castellanza). Speaker at conferences organized by the Institute of Chartered Accountants of Milan in the context of continues education and forming professionals for the State exams. From 1994 to 2009 and from 2015 to now days, President of the Section of Monza (founded in 1897) of the National Carabinieri Association. From November 2009 to today Provincial Coordinator of Monza and Brianza of the National Carabinieri Association. Member of the Board of Directors of the GaragErasmus Foundation, Chairman of the Ethics Committee and Senior Advisor for Public Private Relations. President of the Prospectus Cultural Association.